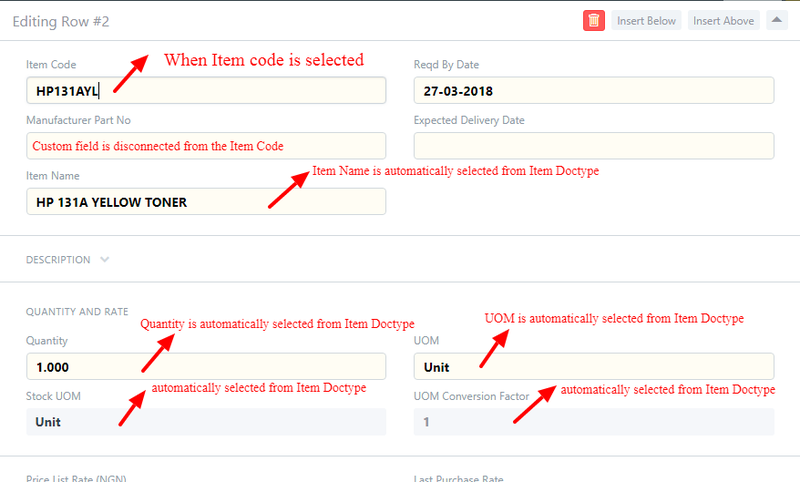 I have created a custom field and I need it to interact with other items just as Item code automatically fetches the respective values for Item name and description. Also, I need to allow the custom field, “Manufacturers Part No.” to be searchable just like item code is searchable. @OmarJaber @tundebabzy @olamide_shodunke will really love your inputs.